Drawing on a massive array of primary sources, Emerald Illusions provides the first major history of the Irish-themed film in early American cinema. It seeks to revise prevailing scholarly views in this area by using rigorous historical research in an effort to reframe how we understand these films and the audiences who viewed them. 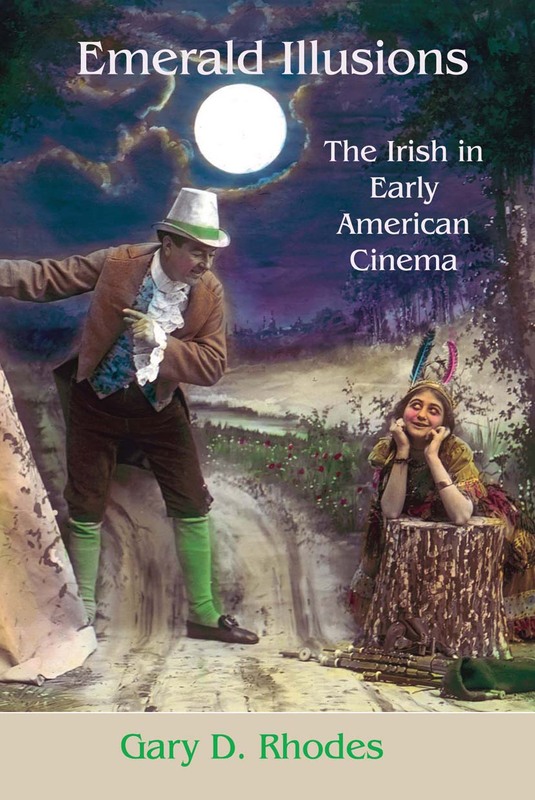 The book begins by examining the origins of these films in such pre-cinema entertainment as Irish-themed stage plays, vaudeville acts, and magic lantern slides, revealing their various influences on early American cinema. As a result, lost histories are reclaimed, including the story of the Irish-themed illustrated song slide. Emerald Illusions explores genres like comedy, melodrama, and non-fiction, discussing repeated narratives and images that surfaced in the American cinema between 1894 and 1915. In addition to covering notable moving pictures of the era, the book also chronicles a wealth of films not previously catalogued in studies of Irish cinema, including work by such luminaries as D. W. Griffith. With the aid of over one hundred rare photographs, Emerald Illusions covers a half-century of Irish-themed entertainment in America, providing fresh insights through the lens of previously unknown resources. Gary D. Rhodes is Lecturer and Co-Director, Film Studies, Queen’s University Belfast, and the author of several titles on American film history.